← Turning Down Paris – It’s So Hard to Do! 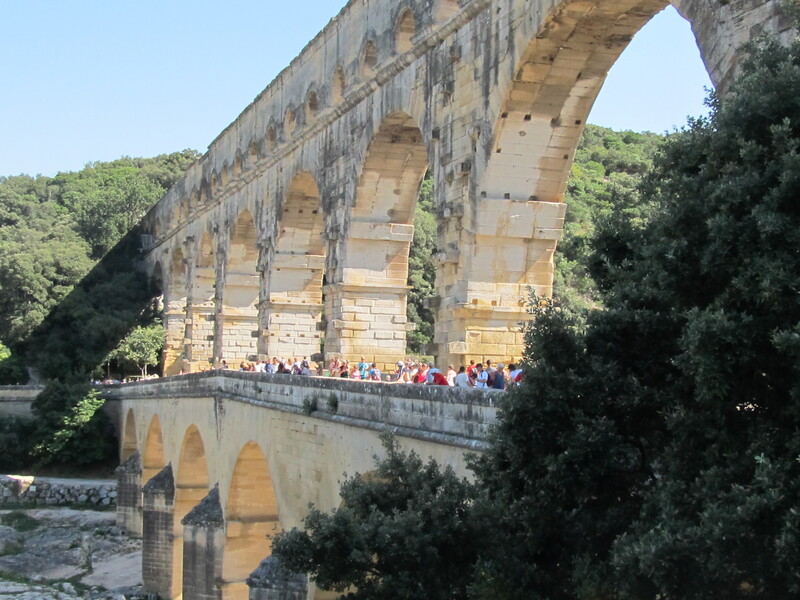 The Pont du Gard, a Roman built aqueduct, in Southern France; it’s just one of the dozens of UNESCO World Heritage Sites that home exchange has given my family the opportunity to visit! We were there during the summer of 2013. It’s true! Now that I’ve already arranged two fantastic home exchanges for next summer; I’m (kind of/sort of) hoping that I won’t receive any more great offers! But, the chance of that is pretty low. I’m thrilled to have made my home exchange arrangements so early, but, now every time I open my e-mail and find a new offer, I know I have to turn it down, however amazing it may be! You see, I can’t extend our trip any longer (well, I could; but my kids would revolt! ), so as much as I love to receive new offers, I really don’t want to get any that are too good to pass up. This happened during the planning of our first big trip to Europe in 2009. After arranging two wonderful home exchanges in Southern Spain and Southern France, I received an incredibly desirable offer for a home just outside of Paris. Neither my husband or I could bear to turn it down; so we didn’t. We added another two weeks to our already month long trip and spent a full six weeks in Europe that summer! We never would have imagined such an extravagant trip – before finding and trying home exchange. 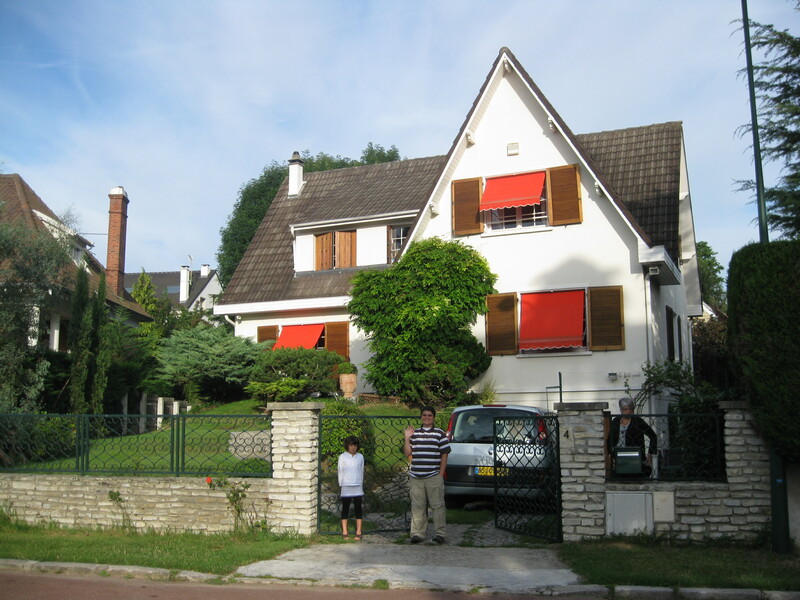 This was the home outside Paris that we simply could not turn down. Great location, great house, great neighborhood, great exchange family, great exchange! I can tell you that our 2009 trip was extraordinary from start to finish; truly a once in a lifetime cultural adventure, except for one thing…home exchange has allowed us to do it again and again and next summer…again. I do not envision ever stopping. Once you try home exchange, it’s pretty impossible not to become addicted. That’s why it’s not uncommon to find home exchangers who have exchanged 10, 25, even over 75 times! My newest exchange partner in Amsterdam has exchanged at least 25 times. As for my families next trip of a lifetime, my husband and I would have no problem adding another exchange and spending six weeks in Europe. After 2009, we spent six weeks in Europe again in 2011. The dilema is…now that our kids are teenagers (12 and 17) they no longer want to be away from their friends for that long. Being the understanding parents that we are…we only plan to force them to travel with us for a month next summer. Teenagers! So, that is why each time I receive a new home exchange offer, I get excited first, and then remind myself that I can’t accept whatever wonderful opportunity that offer holds… and that is the hard part! As problems go, I realize this is about a good a problem as you could have – too many wonderful opportunities for world travel. That’s kind of the point of all these posts; it’s not to gloat about my experiences, it’s to convince you to take advantage of the wonderful cultural opportunities-that could be yours just for the taking. All you need is a place you call home (owned, rented, it doesn’t matter) and a strong sense of adventure. What’s stopping you? Really, let me know. I’ll never cease to be amazed that more people are not taking advantage of something so incredible. One of the three was from Amsterdam. Yes, Amsterdam, again! I was so afraid I wouldn’t find one home exchange in Amsterdam and I’ve actually received four of them (so far). This newest one is fantastic; it’s a canal house, on the Singel, the oldest canal in the city (once a moat), right in the heart of the city. If you’re familiar with Amsterdam, the house is located behind the Royal Palace in Dam Square; if you are not familiar, this is about as desirable a location as you can find in this city; especially if you are a tourist just stopping for a few days for a quick peek at the city. Since my plan is to settle in and enjoy life as a local for several weeks, I’ve selected a home exchange just outside the lively city, on quieter Haveneiland, one of several artificial islands that make up Ijburg, a new suburban neighborhood raised from the Ijmeer lake to support the growing population of Amsterdam. The area is very Dutch, lots of families, and very few tourists; just perfect for my need for a true cultural immersion. However, had I not already committed to an exchange, this offer would NOT have been passed up! So, here are all three offers that I have received this week. Just so you know, I found the ‘will power’ to turn each of them down. Ouch! This entry was posted in Uncategorized and tagged amsterdam, haveneisland, home exchange, Ijburg, Paris, Spain. Bookmark the permalink.